Mother’s Day is a day for moms to be celebrated for the love they give their kids, for all the hard work they put into raising their kids. I tend to reflect about my mom quite often – she’s far away, so we haven’t celebrated the day together in many years, though I always call and send a card or a gift as an extra “I’m thinking of you” outreach on this special day set aside just for moms. Despite our physical distance and our general lack of regular communication (we live over 800 miles from each other, text or email a couple times a week, and talk on the phone once or twice a month), I think of her every day. Often, these thoughts are of how lucky I am to have her for my mother. She instilled in me so many of my positive attributes that I never feel too far from her embrace because she is within me always. My mom is gentle and kind, responsible, forgiving, understanding, intelligent and foward-thinking, curious, independent, resourceful, deliberate, mindful, calm. Oh, the calm. Being near her is a calming experience. She’s never frantic, never scattered, rarely angry. She’s not a bitter person: she can find the good in almost any person or situation. She’s open to new experiences and seeks knowledge and understanding always. She becomes friends with everyone she meets. Her presence is refreshing, grounding. My mom is an artist. She writes like a professional, both poetry and prose and has been published multiple times. 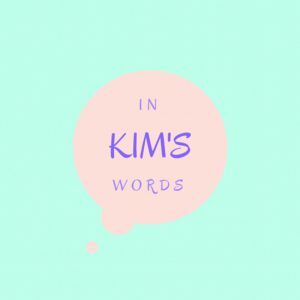 She recently started her own blog to share her experiences and her stories. She writes in a flowing, thoughtful, nearly-abstract way, painting a picture of not just the facts, but the feelings and the beauty of her subject. Maybe I shouldn’t feel pride about that since I had nothing to do with her writing success, but I do. My mom is a nurturer, not just of her family and friends, but of her garden and her home. She carefully selects each item for her garden and tends to them as a mother would. She learns about them to ensure they will prosper under her care. She revels in their beauty, whether blooming or not. She is perfectly content sitting alone on her porch with a cup of tea, taking in the art created by her garden. She appreciates beautiful artwork. Her home is filled with gorgeous framed art, sculptures, and other unique and intricate pieces that she’s collected over the years from many of the places she’s visited. She appreciates the inner workings of the pieces that catch her eye, often learning about their history or meeting with their creators to understand the ‘hows’ and ‘whys’ of their creations. She’s always on the lookout for new beauties to add to her walls or tables or shelves and she has an uncanny way of tying her whole home together with both vibrant and muted colors. My mom is always willing to listen, no matter what I want or need to talk about. She doesn’t try to solve my problems for me, but will help if I ask for help. She’s involved but not overbearing. She supports my ideas, celebrates my success, and empathizes with my pain. My mom loves with intention. She loves all four of her children, each of us wildly different, with fervor and with everlasting hope. She’s loved all of the pets she’s raised over the years, providing them with the attention and care they deserved from her. She loves my dad and has devoted 45 years to their marriage, their friendship. They’ve raised children together, they’ve struggled economically together, they’ve overcome those struggles together, they’ve planned their future together, and most recently, they’ve retired together. Her love is a lasting love. My mom is the mom so many wish they’d had, and I am so lucky that she chose to be mine.